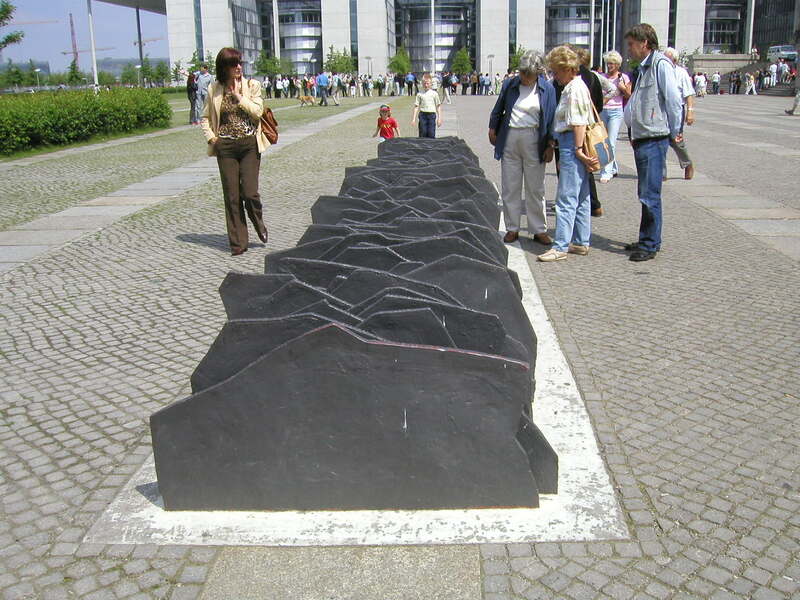 The Memorial to the Murdered Members of the Reichstag is a memorial in Berlin, Germany. The memorial is located in front of the Reichstag building, and commemorates the 96 members of the parliament that died between 1933 and 1945. This entry was posted in Berlin. Tagged 2004 trip, Berlin, Germany, memorial, Memorial at the Reichstag, Murdered Members of the Reichstag 1938 to 1945, photography, travel, travel photography, War memorial, WWII war memorial.